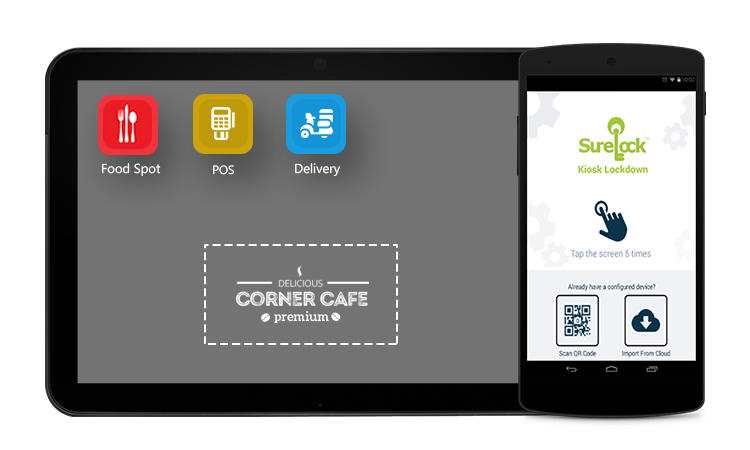 SureLock turns any Android tablet or smartphone into a kiosk. 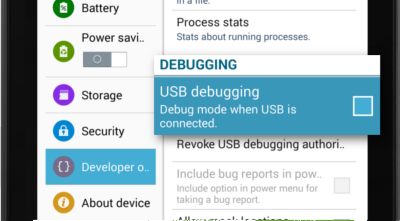 It is an Android kiosk app that replaces the default Home Screen or Launcher and restricts user access to only one application or a few allowed applications. Are you worried about unwanted misuse of your company owned Android devices? It has become common to use off-the-shelf mobile devices to run business applications or self-service kiosks. However, device misuse can impact user productivity, increase device maintenance costs and cause other problems such as increase in mobile data usage etc. You can use SureLock to lockdown android tablets and smartphones and restrict access to only selected applications and device features. Games such as Angry Birds, social media applications such as Facebook and Twitter, System settings, or any other applications can be completely hidden from the user. 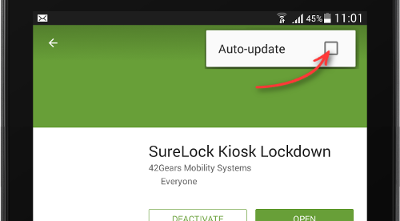 SureLock achieves perfect lockdown on all kinds of Android devices and it does not require root access. Besides this, we have partnered with many device manufacturers that allow us to implement enhanced security and access control on their devices. Lockdown Android devices with restricted access to selected applications. Restrict access to Safe mode of the device. Restriction of Wi-fi/mobile data access for applications. Looking for software to convert Android devices into internet kiosks?